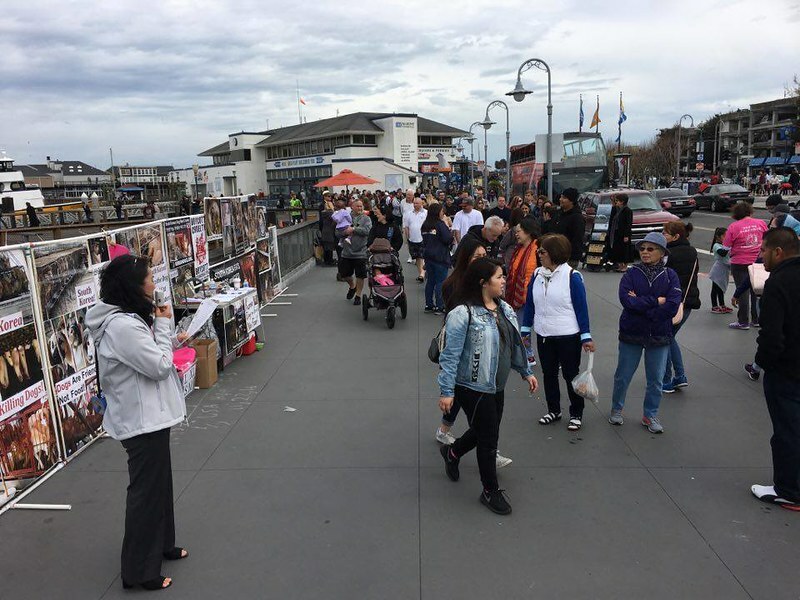 A big thank you goes out to the volunteers who came out to give a voice to the Korean dogs in the dog meat trade!!! Your compassion and dedication is truly appreciated. Kit & Niku(the corgi), Don, Andrea, Angela, Shelly, Lee ann and myself. We all worked very hard to advocate for the Korean dogs. 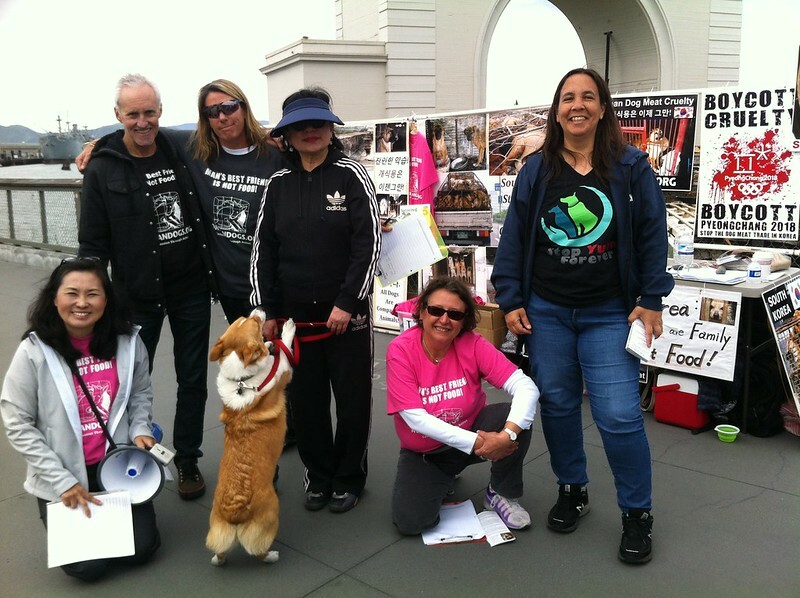 We are so lucky to have such a dedicated team of volunteers helping to advocate for the Korean dogs. We collected a total of 868 signatures and handed out over 800 leaflets. 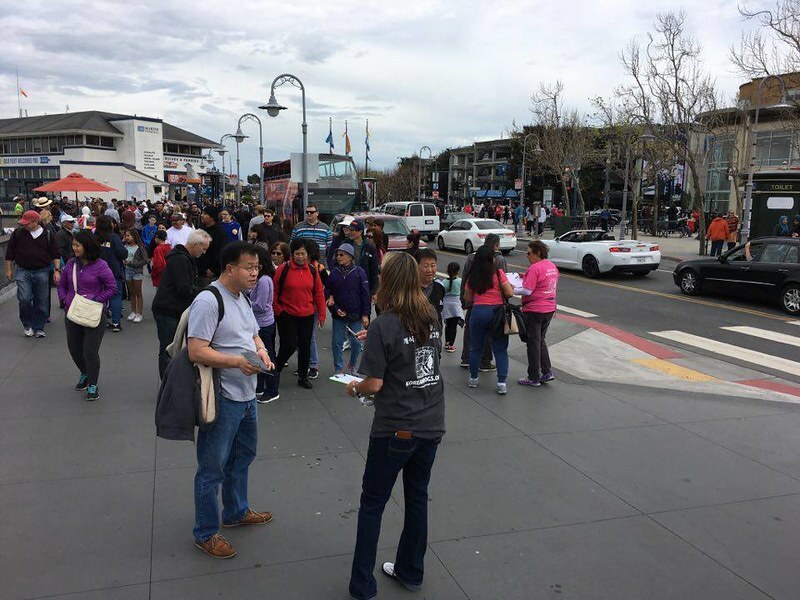 It was another great day at the famous San Francisco Fisherman’s Wharf, with lots of tourists and visitors from all over the world, many of whom were from South Korea. So, it really shows that everyone can do a little something to bring about change. What will you do today? 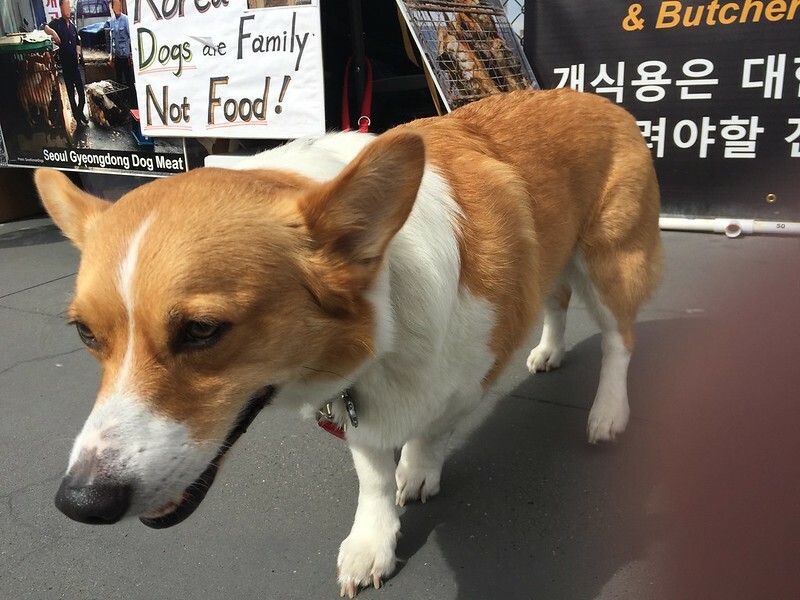 Anyone can take action to give a voice to the Korean dogs. 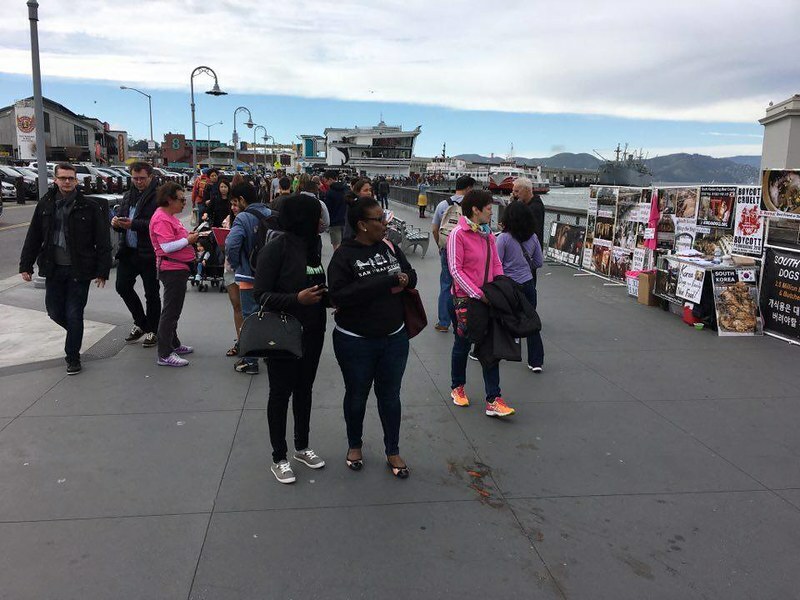 If you live in the US and would like to organize an event in your city or simply want to hand out our leaflets to your friends, family, and neighbors, contact us and we would be happy to send you our campaign leaflets for free when you make $10 donation* to SaveKoreanDogs. *We are no longer sending leaflets out to US locations free of charge to discourage people who request them but do nothing with them; this is an unfortunate waste of our time and valuable resources (as we pay for these personally), and we hope that by asking for a small donation to SaveKoreanDogs (which goes towards rescuing and caring for dogs from the meat trade) this will help to make sure our leaflets are distributed and used for helping the dogs. Thank you for your understanding. Thank to the people who are helping stop this inhuman cruelty and torture of these helpless animals.these people should be punish all cruel meat farms be shut down.??? IT RESTORES MY FAITH IN HUMANITY KNOWING THAT THERE ARE A NUMBER OF FOLKS LIKE MYSELF THAT CARE SO DEEPLY FOR OUR FUR FRIENDS. THANK YOU FOR ALL YOU DO AND STAND FOR. BLESS YOU A 1000 TIMES OVER.